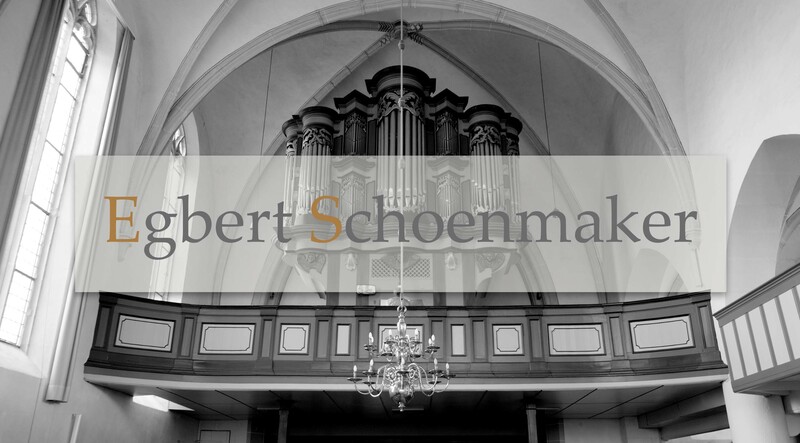 I recently completed a Bachelor’s of Science in Music with a concentration in organ. While studying organ at Southern Adventist University, I had the privilege to lead our congregation in worship many times. However, this put me in the uncomfortable position of playing an active role in the discussion about music and worship. Instead of being the onlooker, I was put not only into the position of participant, but also leader. This raises a couple questions. First, why is it that so often in worship the only participants are the leaders? Second, should worship and specifically music in worship aim to only please the congregation or envelope them in a worship they cannot help but not participate in? The discussion about church music is heated and I do not aim to fan the fires of conflict with this short article. Rather, I hope to elucidate my thoughts on the matter in order to provide material for further reflection on this topic. I do not aim to be controversial for the sake of being controversial. Worship is an experience that must be personal. We can worship anywhere at any time. By giving praise to God in private, we are in effect worshipping. But, worship in the corporate sense ceases to be worship for the individual if they are not actively participating. So, how does music play into this discussion? In the Protestant history of liturgy there have traditionally been three ways in which the congregation plays a part in a worship service. First, by responsive readings, then by music and singing, and thirdly by sharing of testimonies and how God has blessed them. Music is the one most contentiously debated because it is such a powerful means to move people. There is, I believe, nothing inherently wrong with doing something new in worship. In fact, much of our protestant heritage is based on a few men deciding to do something new and more meaningful. But, herein lies a danger. Christ, throughout the bible calls us to be set apart from the world. 1 Peter 2:9-10 says “But you are a chosen people, a royal priesthood, a holy nation, a people belonging to God, that you may declare the praises of him who called you out of darkness into his wonderful light” This text simultaneously calls us to a principle of working as missionaries and being set apart from the world. I believe part of the application of this is the founding of our worship on what God has said is true. Secondly, and equal importance, we must intentionally avoid living a standard that is worldly including in our worship. So, while I do not believe there is anything inherently immoral with a guitar, bass guitar or, heaven forbid a trap set that is struck on the off beats, i think the church should use a different means of worship so that we consciously do not imitate the world. As an aside, I think there is a profound place in devotional experience for Christian Contemporary Music or “happy-clappy” as some call it. Why do I believe we should use a different standard? Maybe an older standard? 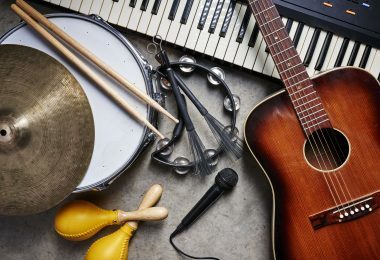 Music, to inspire worship needs three criteria: Deep and meaningful lyrics that are known and singable, music that serves the text as an appropriate vehicle for the meaning of the text, and excellence in performance so that the music draws people in and is not distracting. I will not, for the sake of brevity defend why I think these three criteria are necessary. But, I will attempt to submit what form this will most practically take. I believe that lyrics that have true depth and meaningful will draw their inspiration from scripture. The scriptures provide a fountain of depth that casual reflection on ones feelings in the moment will not provide. Basing lyrics on scripture mitigates, to some degree, the risk of theological inaccuracy, and it provides a good and accessible source of God inspired (not human inspired or emotionally inspired) material. Music that serves the text is important insofar as the ultimate meaning should be drawn from the text, not the brilliance of sound that it is accompanied by. Thus, the melody ought to well recognized and easily sung so that the mind can focus on deriving meaning from the deep lyrics. Lastly, the performance of this music should, to as great a degree as possible not be a performance. When worship becomes a performance, the congregation ceases to involve themselves in the worship. They sit back instead of standing up and making a joyful noise unto the Lord. Here is a brief story that is worth evaluating. I worked as a resident assistant in my dorm for a year. This included counseling and talking with my peers. I was talking to two of my guys about worship and they made the interesting comment that while they live a secular lifestyle and listen to secular music, they cannot worship with that sort of sound because when the come to church and hear it, they only hear that which they hear every day and it is not associated with worship. Quite the opposite actually. I will relate, as anecdotal evidence, from my experience as a church organist two stories. First, the power of a hymn to move people to involvement in worship supersedes performance medium. I was in vespers and could hear the audible clacking of phones being used for texting. The band was strumming away and no one was really listening, let alone singing. Then they segued into “Amazing Grace”. The transformation was brilliant. People spontaneously stood and joined in the song. I could hear, even feel, close to two thousand of my peers singing that great hymn. The second experience I had was when I led vespers with the organ. This is not something they do every week. For instance, in my four years at Southern Adventist University, they used the organ three times (two of which I played for). I chose to open with Vaughn William’s setting of the Hundredth Psalm. I started with the trumpets and people stood. And, to hear that church come alive to the sound of “All People that on earth do dwell” moved me almost to tears. Say what you want. But, there is power in both the words AND the music of hymns. And I think it to be a travesty to throw this heritage and resource away for the tides of contemporary feeling. So, what about the organ? As an organist I naturally want to see the instrument used in worship and I enjoy leading hymn singing with the organ. In fact, my favorite memory of all my performances and times I’ve led worship is playing the Vaughn Williams setting in congregation singing. But, I will make a brief aside about the organ being used in worship. 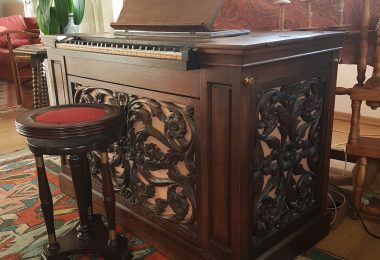 The organ was invented and developed for the express purpose of leading singing. Sure, you had the hydralophones of ancient Greece and Rome, but the organ as we know it from the 14th and 15th century evolved to lead people in singing. It has the power to lead and balance a congregation that cannot be matched by a piano or some guitar’s strumming. The human voice is also an effective means to lead a congregation and should be used. 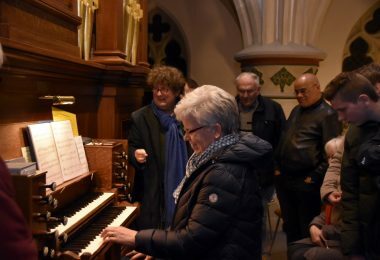 But, do not forget the power of the organ and the effective role it has played for 500 years of church music. Stephen Thorp Interview part 1 from Let's Pray! on Vimeo.